The original jadeite is dark in color and dark green in physical observation. It is evenly distributed. There is a layer of ore wrapped on the outside，which reveals high green. The water head is excellent，the jade material is relatively pure，and the original stone is large，so the jadeite texture is high，dense and rare. This jadeite is irregular in shape and has obvious natural indentation. 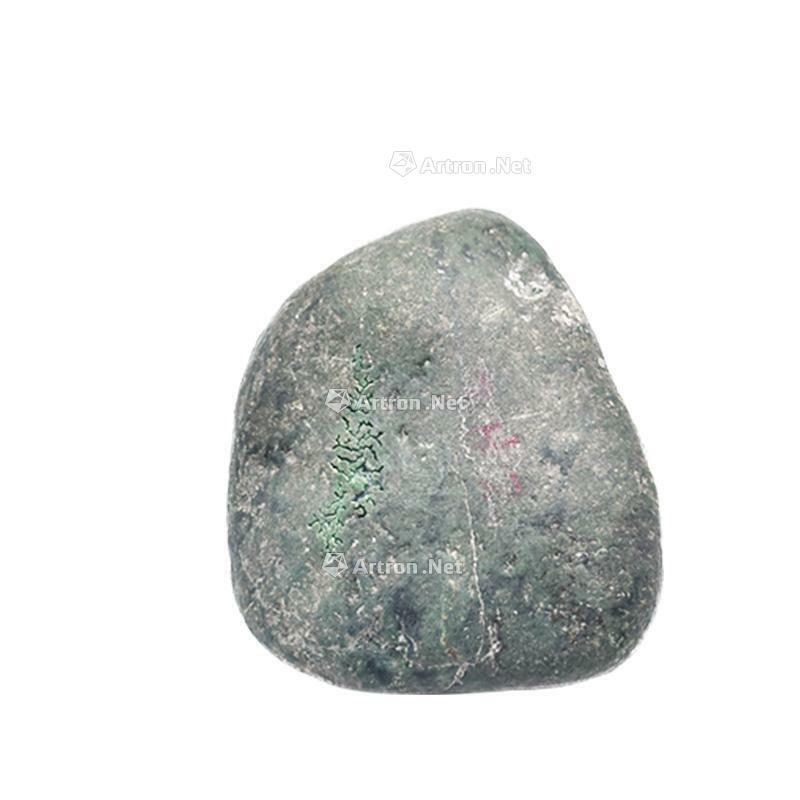 It should be a kind of gambling stone in jadeite. And the hidden high green luster，hard texture，the shell has crystalline and light gray imprint，green for the original stone gao，feel smooth，it can be seen that the possibility of quality jadeite gambling stone is very great! Over the past century，jadeite is the only jadeite original stone in the world known as gambling stone. Because of its charming color and translucent characteristics，whether it is uncut jadeite or carved jadeite finished products，it has been sought after and enthusiastically collected by thousands of collectors.